Kanye West is at it again. After a few days of reprieve, the rapper took to Twitter yet again on Tuesday night, this time targeting music critic Bob Ezrin, who wrote a scathing review of the 38-year-old and his new album, “The Life of Pablo,” on his blog. In the Monday entry, Ezrin said Wests greatest achievements have been in the form of excessive behavior, egomaniacal tantrums and tasteless grandstanding, and put peers like Macklemore, Eminem and Kendrick Lamaron a higher perch. This guy is just feeding the media machine and Im not even certain to what end. Maybe he JUST needs the attention, like that flasher, and isnt happy unless hes the center of it, Ezrin later wrote. To say West wasnt happy about Ezrins critique, who labeled Yeezys songwriting sophomoric but praised his production value, is the understatement of the year. The father of two then targeted Ezrins children, though he apologized for doing so, after promising earlier this year that he would never speak on kids again. Your kids are ashamed of their dad Sorry for speaking about kids but could you imagine if you were Bob Ezrins kids, he tweeted. Im so sorry for them I will send them free Yeezys to make up for the embarrassment that you have caused your family! Later on, West specifically called out Ezrins suggestion that Macklemores music is more meaningful and impactful when it comes to addressing social issues, making a dig at the 32-year-old Same Love rapper. Bro you said Macklemore was more important musically than me no offense to Macklemore, hes a nice human being! West tweeted. 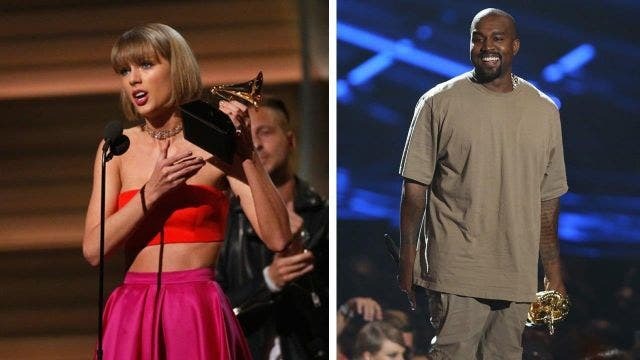 Several tweets later, the “Life of Pablo” rapper opined about two of his albums, 2010s “My Beautiful Dark Twisted Fantasy” and 2011s “Watch the Throne” withJay Z, and the lack of Grammy recognition they received before seemingly calling out Taylor Swift. I made Dark Fantasy and Watch the Throne in one year and wasnt nominated for either and you know who has 2 albums of the year, West wrote, seemingly referencing Swifts two Album of the Year wins. Earlier this month, West seemed to indicate that he was ready to put the Swift drama behind him, saying at the time that he has all positive vibes for the “1989” singer. Everyone from Chelsea Handler to Dr. Phil has weighed in on Wests latest Twitter antics, but in spite of his recent behavior, wife Kim Kardashian is 100 percent standing beside her husband, a source recently told ET.